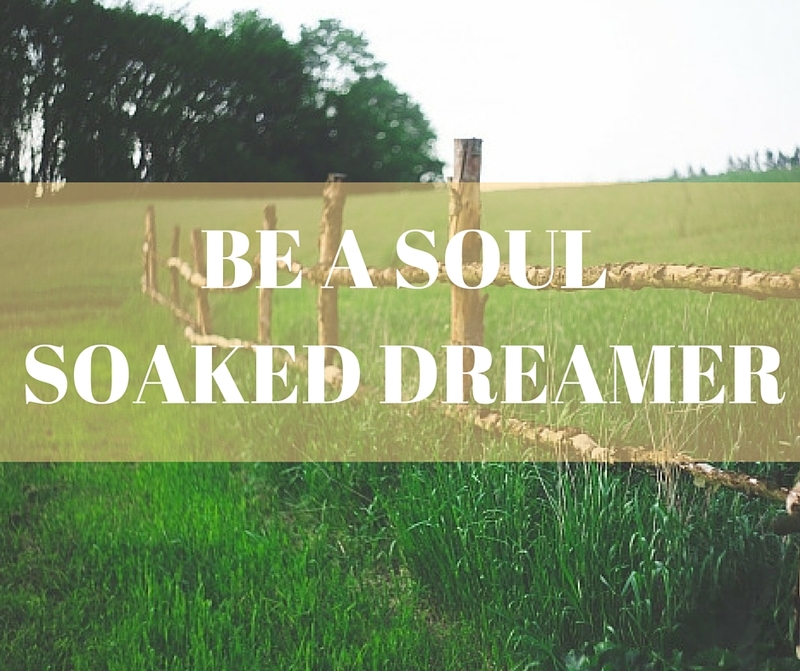 I love this tagline, “A Day of Intentional Soul Soaked Dreaming”. Wouldn’t you love a day like this? Introducing Soul Love Fest, a two-day experience in a farmland sanctuary in the suburbs. If you’ve ever attended one of our BeHealthful Retreats, think of SLF as it’s sister from another mister. Instead of exploring the world of self love and holistic awakening in a vast art gallery in an urban setting, switch gears and do the same in a tranquil farm not far from the city. I have the honor of leading not one, but TWO classes during the day which I am truly pumped to do. One on intuitive eating, and another on gracefully managing transition and change. I’ll also be setting up shop as a vendor to showcase our soon to launch Balanced Babe Botanical Line. All of this is going down next Fall, September 17th, and you can find all the details here. I spoke with the co-creators, Darcie and Susan, about my favorite holistic topics including their go-to natural remedies, morning rituals, current mantras and more. You’ll be able leaving BB with major inspiration to either start meditating or finding an accountability partner. Read on to be motivated! BB: What are your favorite homeopathic beauty and wellness remedies? Darcie: I think that sleep and warm lemon water cure almost anything. Favorite most essential vitamin for me is D and I my can’t live without my most favorite mineral, Magnesium (it helps me sleep like a ROCK). BB: Do you follow any specific eating lifestyle? If not, what are some of your go-to nutrient dense recipes? Darcie: I am a big fan of the Whole30 Diet. I am usually on a variation of it in terms of my love/hate relationship with grains. I love them but they surely don’t love me! Susan: I don’t have a specific eating lifestyle other than trying to eat as many vegetables and whole foods as possible. I eat a ridiculous amount of spinach​ and drink at least 2-3 green juices per day.​ I am a novice in the kitchen but I do love to try healthy recipes especially the ones that are all in one pot. I like big bowls of veggies and maybe some shrimp. BB: How do you maintain a Balanced Babe lifestyle? Darcie: Really my soul LOVE fest biz partner, Susan, has a lot to do with keeping me “balanced”. We have weekly accountability calls which we have been doing for at least last 5 years or so. We call ourselves “the tribe of 2”. We check in once week and talk about what we are up to and recommit to things we want in our lives whether it is eating well when we travel, exercising regularly even with a busy schedule, making sure we go out and socialize and not stay in and watch TV or read books, continue to be open to love…because we are all busy taking care of what is right in front of us. We remind each other of what is most important and we help each other get back up and keep growing and opening. Susan: Having a studio in California is really helping me feel more balanced. As social as my job can be, I am really an introvert and I need a lot of time to myself. I love my time in NYC but need my time in CA. BB: Do you have any morning or evening rituals? If so, what are they? Darcie: Most mornings I do have a meditation and feminine flow energy ritual. It is really easy for me to jump in and start checking things off my list and go go go, so it is essential for me to check in with my soul and really tap into my feminine energy. My mentor, Kathleen Graham has made a world of difference in my life with the morning femme flow practice. I am so much more open to the magic of life which is really REALLY helpful when in the midst of creating soul LOVE fest. Keeps me really connected and present. Susan: I like to wake up before the sun comes up and then it’s lemon, turmeric, ginger water and I do some meditation and yoga, then decaf coffee and start the day. ​I am working with Alexia Bauer, one of our Soul Love yoga instructors and we do Skype sessions when we can or I do my own practice. She has helped me in so many ways, beyond just the yoga. I’ll do a mid-day hike if I’m in California or a walk in Prospect Park when I’m in Brooklyn. I need to get outside in the middle of the day or I get a little crazy. BB: How do you get your creative juices flowing? Darcie: Susan jokes because as soon as the sun even starts to think about going down she knows I am DONE…I have no creative juice in my body. So early early morning is always the best time for me. Also when I go for long walks I seem to have the best ideas dropped into my head from the Universe. It is pretty amazing. Susan: Creative juices get flowing pretty much any time Darcie and I are on the phone and we are talking and in the flow versus going through our work checklists! I think of myself as a dreamer, but not necessarily a creative. So having someone to talk to who gives me creative inspiration and motivation to achieve big dreams is crucial! BB: What is your current life’s mantra? Darcie: The word that I am using as a mantra at this time is “delight”. It has so much goodness packed in it. Susan: I just went to an amazing acupuncturist/healer and she suggested I ask myself this, “Are you being kind to yourself right now?” I am using it all of the time – when I think about what to eat, what to drink, when to stop working, who to spend time with, where to go. It works. BB: What is one thing you wish someone would ask you? Darcie: Occasionally someone will ask me how I had the courage to follow my dreams. I love that question because sometimes I get bogged down with the “to do’s” and allll the steps that have to happen to bring the dream to life and I, of course, have some fear around my decisions. When I am asked that question it brings me back to my “why” and reminds me of the dream again. My “why” is that I love magic and possibility. I want others to see that this life can be full of magic and possibility. We can and should question all the rules we live by. I could go on and on…so I will stop there but you get the picture. Susan: Umm, I have no idea but I know Darcie will be the one to ask me and I’ll be all shaken up. We have no idea and that is pretty awesome. More following our intuition, more love and growing community and connection, for sure. We have a feeling our lives will go in a direction we couldn’t even dream of. We have no idea what will unfold once our inaugural soul LOVE fest has taken place but we just know it will be amazing and magical. Five Ways to Be Balanced Now.